You must be registered for see links that shows a novel idea coming from You must be registered for see links for an electric Ninja 400. The patent was filed all the way back in 2013, but it just recently got published. While an electric Ninja 400 is cool, what’s most interesting is the swappable battery tech. 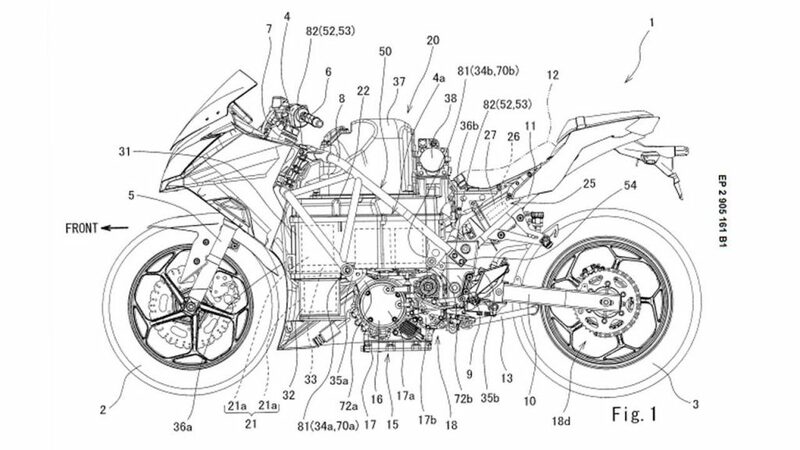 The patent shows an electric motorcycle that can have its entire guts pulled out the left side rather easily. With the news of the You must be registered for see links to create swappable batteries, it’s interesting to see that Kawasaki had a solution all along. I wonder if this design will be used by Honda, Yamaha, and Suzuki at some point.